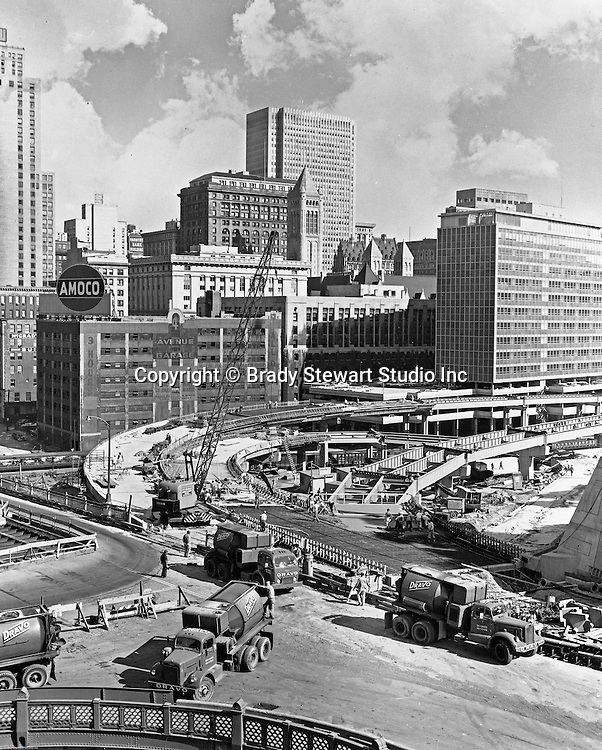 Pittsburgh PA: View of the crosstown boulevard (interstate 579) construction in 1961. This federal project was part of the Renaissance I development in Pittsburgh. The project was to alliviate traffic from the new Civic Arena.